Dr Jinwei Zhang obtained a BSc degree in Microbial Biotechnology from Fujian Normal University China in 2003. While there, he studied mutagenesis of Aspergillus niger for higher yield of multicomponent enzymes. He then obtained a MSc degree in Marine Microbial Biochemistry and Molecular Biology at The Third Institute of Oceanography (Xiamen), State Oceanic Administration China in 2007. While there, he studied marine ecology and cold-adapted enzymes from deep-sea becteria. He then obtained a PhD degree in Biotechnology from Newcastle University UK in 2011. While there, he studied natural bioactive compounds and electricity generation by marine microorganisms. Since 2011, he pursued his interest in cellular signaling with a post-doctoral fellowship at the Medical Research Council Protein Phosphorylation and Ubiquitylation Unit in Dundee with Professor Dario Alessi (FRS). While there, he studied LRRK2 associated Parkinson's disease in collaboration with Professor Nathanael Gray at Harvard Medical School, and contributed to the discovery of the most potent LRRK2 kinase inhibitors TAE684 and TTT3002, most selective LRRK2 inhibitor GSK2578215A, and the first brain penetrable LRRK2 inhibitors HG-10-102-01 and JH-II-127. Since 2013, his research focuses broadly on CUL3/KLHL3-WNKs-SPAK/OSR1-CCCs signaling in ion homeostasis and human diseases (neuropsychiatric disorders and hypertension) in collaboration with Professor Kristopher Kahle at Yale University School of Medicine. He joined the Faculty of the University of Exeter Medical School and started his own laboratory in 2017 where his KCC2 investigations can gain greater impact by integration with the clinical resources and basic science research at The Institute of Biomedical and Clinical Sciences. Homeostasis of the intracellular ionic milieu is essential for the proper functioning of all cells and a diverse group of cellular processes. The mechanisms responsible for the homeostasis of the intracellular Cl- concentration [Cl-]i, for example, significantly impacts the rate of fluid secretion or absorption across epithelia; how red blood cells counteract potentially damaging osmotic-induced cell swelling or shrinkage; and whether the GABA neurotransmitter excites or inhibits post-synaptic neurons. The neuronal potassium-chloride co-transporter KCC2 is one of the molecules effectively controlling intracellular Cl- and adjusting the inhibitory strength of GABA. KCC2 hypofunction results in decreased inhibition and increased network hyperexcitability that underlies numerous neurological disorders including epilepsy, autism, post-surgical complication, neuropathic pain and neuropsychiatric disorders. KCC2 activity is decreased in most diseases associated with GABAergic disinhibition. A positive modulator (i.e., “activator”) of KCC2 might be effective in reversing the effects of KCC2 downregulation and lowering [Cl–]i to restore GABAergic inhibition. Previous work in Lifton Lab at Yale revealed that activity of KCC2 is critically controlled by phosphorylation of two highly conserved residues (KCC2 Thr906/Thr1007) (Cell, 2009). Dr Zhang's recent work in Alessi Lab at Dundee and Kahle Lab at Yale discovered that it is WNK-regulated SPAK/OSR1 kinases that directly phosphorylate KCC2 at Thr1007 and Thr906, thereby leading to its inhibition (Biochem. J. 2014, Sci. Signal. 2015, Sci. Rep. 2016, Nat. Comm. 2017). This has potential implications for the therapeutic modulation of neurological disorders by targeting of WNK-SPAK/OSR1 with kinase inhibitors, with a new strategy to enhance cellular chloride extrusion. 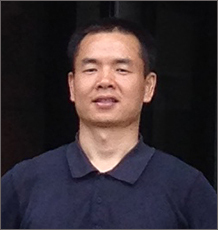 Dr Zhang and his colleagues aim to study Cul3/KLHL3-WNK-SPAK signalling pathway and KCC2 mouse models involved in control of the KCC2 activity and downstream GABAergic neurotransmission during neuronal development under physiological conditions and in models of epilepsy and autism, and to develop small molecular compounds that suppress WNK-SPAK kinase signalling pathway and therefore to activate KCC2. Heubl M, Zhang J, Pressey JC, Al Awabdh S, Renner M, Gomez-Castro F, Moutkine I, Eugène E, Russeau M, Kahle KT, et al (In Press). GABAA receptor dependent synaptic inhibition rapidly tunes KCC2 activity via the Cl--sensitive WNK1 kinase. Nat Commun, 8(1). GABAA receptor dependent synaptic inhibition rapidly tunes KCC2 activity via the Cl--sensitive WNK1 kinase. The K+-Cl- co-transporter KCC2 (SLC12A5) tunes the efficacy of GABAA receptor-mediated transmission by regulating the intraneuronal chloride concentration [Cl-]i. KCC2 undergoes activity-dependent regulation in both physiological and pathological conditions. The regulation of KCC2 by synaptic excitation is well documented; however, whether the transporter is regulated by synaptic inhibition is unknown. Here we report a mechanism of KCC2 regulation by GABAA receptor (GABAAR)-mediated transmission in mature hippocampal neurons. Enhancing GABAAR-mediated inhibition confines KCC2 to the plasma membrane, while antagonizing inhibition reduces KCC2 surface expression by increasing the lateral diffusion and endocytosis of the transporter. This mechanism utilizes Cl- as an intracellular secondary messenger and is dependent on phosphorylation of KCC2 at threonines 906 and 1007 by the Cl--sensing kinase WNK1. We propose this mechanism contributes to the homeostasis of synaptic inhibition by rapidly adjusting neuronal [Cl-]i to GABAAR activity. Karimy JK, Zhang J, Kurland DB, Theriault BC, Duran D, Stokum JA, Furey CG, Zhou X, Mansuri MS, Montejo J, et al (2017). Inflammation-dependent cerebrospinal fluid hypersecretion by the choroid plexus epithelium in posthemorrhagic hydrocephalus. Nature Medicine, 23(8), 997-1003. © 2017 Nature America, Inc. part of Springer Nature. All rights reserved. The choroid plexus epithelium (CPE) secretes higher volumes of fluid (cerebrospinal fluid, CSF) than any other epithelium and simultaneously functions as the blood-CSF barrier to gate immune cell entry into the central nervous system. Posthemorrhagic hydrocephalus (PHH), an expansion of the cerebral ventricles due to CSF accumulation following intraventricular hemorrhage (IVH), is a common disease usually treated by suboptimal CSF shunting techniques. PHH is classically attributed to primary impairments in CSF reabsorption, but little experimental evidence supports this concept. In contrast, the potential contribution of CSF secretion to PHH has received little attention. In a rat model of PHH, we demonstrate that IVH causes a Toll-like receptor 4 (TLR4)-and NF-κ B-dependent inflammatory response in the CPE that is associated with a 3-fold increase in bumetanide-sensitive CSF secretion. IVH-induced hypersecretion of CSF is mediated by TLR4-dependent activation of the Ste20-type stress kinase SPAK, which binds, phosphorylates, and stimulates the NKCC1 co-transporter at the CPE apical membrane. Genetic depletion of TLR4 or SPAK normalizes hyperactive CSF secretion rates and reduces PHH symptoms, as does treatment with drugs that antagonize TLR4-NF-κ B signaling or the SPAK-NKCC1 co-transporter complex. These data uncover a previously unrecognized contribution of CSF hypersecretion to the pathogenesis of PHH, demonstrate a new role for TLRs in regulation of the internal brain milieu, and identify a kinase-regulated mechanism of CSF secretion that could be targeted by repurposed US Food and Drug Administration (FDA)-approved drugs to treat hydrocephalus. Shekarabi M, Zhang J, Khanna AR, Ellison DH, Delpire E, Kahle KT (2017). WNK Kinase Signaling in Ion Homeostasis and Human Disease. Cell Metabolism, 25(2), 285-299. Full text. Zhang J, Gao G, Begum G, Wang J, Khanna AR, Shmukler BE, Daubner GM, de los Heros P, Davies P, Varghese J, et al (2016). Functional kinomics establishes a critical node of volume-sensitive cation-Cl− cotransporter regulation in the mammalian brain. Scientific Reports, 6(1). Full text. Zhang J, Siew K, Macartney T, O'Shaughnessy KM, Alessi DR (2015). Critical role of the SPAK protein kinase CCT domain in controlling blood pressure. Hum Mol Genet, 24(16), 4545-4558. Critical role of the SPAK protein kinase CCT domain in controlling blood pressure. The STE20/SPS1-related proline/alanine-rich kinase (SPAK) controls blood pressure (BP) by phosphorylating and stimulating the Na-Cl (NCC) and Na-K-2Cl (NKCC2) co-transporters, which regulate salt reabsorption in the kidney. SPAK possesses a conserved carboxy-terminal (CCT) domain, which recognises RFXV/I motifs present in its upstream activator [isoforms of the With-No-lysine (K) kinases (WNKs)] as well as its substrates (NCC and NKCC2). To define the physiological importance of the CCT domain, we generated knock-in mice in which the critical CCT domain Leu502 residue required for high affinity recognition of the RFXI/V motif was mutated to Alanine. The SPAK CCT domain defective knock-in animals are viable, and the Leu502Ala mutation abolished co-immunoprecipitation of SPAK with WNK1, NCC and NKCC2. The CCT domain defective animals displayed markedly reduced SPAK activity and phosphorylation of NCC and NKCC2 co-transporters at the residues phosphorylated by SPAK. This was also accompanied by a reduction in the expression of NCC and NKCC2 protein without changes in mRNA levels. The SPAK CCT domain knock-in mice showed typical features of Gitelman Syndrome with mild hypokalaemia, hypomagnesaemia, hypocalciuria and displayed salt wasting on switching to a low-Na diet. These observations establish that the CCT domain plays a crucial role in controlling SPAK activity and BP. Our results indicate that CCT domain inhibitors would be effective at reducing BP by lowering phosphorylation as well as expression of NCC and NKCC2. de Los Heros P, Alessi DR, Gourlay R, Campbell DG, Deak M, Macartney TJ, Kahle KT, Zhang J (2014). The WNK-regulated SPAK/OSR1 kinases directly phosphorylate and inhibit the K+ -Cl- co-transporters. Biochemical Journal, 458(3), 559-573. Precise homoeostasis of the intracellular concentration of Cl- is achieved via the co-ordinated activities of the Cl- influx and efflux. We demonstrate that the WNK (WNK lysine-deficient protein kinase)-activated SPAK (SPS1-related proline/alanine-rich kinase)/OSR1 (oxidative stress-responsive kinase 1) knownto directly phosphorylate and stimulate the N[K]CCs (Na+-K+ ion co-transporters), also promote inhibition of the KCCs (K+-Cl- co-transporters) by directly phosphorylating a recently described C-terminal threonine residue conserved in allKCCisoforms [Site-2 (Thr1048)]. First, we demonstrate that SPAK and OSR1, in the presence of theMO25 regulatory subunit, robustly phosphorylates allKCC isoforms at Site-2 in vitro. Secondly, STOCK1S-50699, a WNK pathway inhibitor, suppresses SPAK/OSR1 activation and KCC3ASite-2 phosphorylationwith similar efficiency. Thirdly, in ES (embryonic stem) cells lacking SPAK/OSR1 activity, endogenous phosphorylation of KCC isoforms at Site-2 is abolished and these cells display elevated basal activity of 86Rb+ uptake that was not markedly stimulated further by hypotonic high K+ conditions, consistent with KCC3A activation. Fourthly, a tight correlation exists between SPAK/OSR1 activity and the magnitude of KCC3A Site-2 phosphorylation. Lastly, a Site-2 alanine KCC3A mutant preventing SPAK/OSR1 phosphorylation exhibits increased activity. We also observe that KCCs are directly phosphorylated by SPAK/OSR1, at a novel Site-3 (Thr5 in KCC1/KCC3 and Thr6 in KCC2/KCC4), and a previously recognized KCC3-specific residue, Site-4 (Ser96 ). These data demonstrate that the WNK-regulated SPAK/OSR1 kinases directly phosphorylate the N[K]CCs and KCCs, promoting their stimulation and inhibition respectively. Given these reciprocal actions with anticipated net effects of increasing Cl- influx, we propose that the targeting of WNK-SPAK/OSR1 with kinase inhibitors might be a novel potent strategy to enhance cellular Cl - extrusion, with potential implications for the therapeutic modulation of epithelial and neuronal ion transport in human disease states. © 2014 the Author(s). Duran D, Zeng X, Jin SC, Choi J, Nelson-Williams C, Yatsula B, Gaillard J, Furey CG, Lu Q, Timberlake AT, et al (2019). Mutations in Chromatin Modifier and Ephrin Signaling Genes in Vein of Galen Malformation. Neuron, 101(3), 429-443.e4. © 2018 Elsevier Inc. Normal vascular development includes the formation and specification of arteries, veins, and intervening capillaries. Vein of Galen malformations (VOGMs) are among the most common and severe neonatal brain arterio-venous malformations, shunting arterial blood into the brain's deep venous system through aberrant direct connections. Exome sequencing of 55 VOGM probands, including 52 parent-offspring trios, revealed enrichment of rare damaging de novo mutations in chromatin modifier genes that play essential roles in brain and vascular development. Other VOGM probands harbored rare inherited damaging mutations in Ephrin signaling genes, including a genome-wide significant mutation burden in EPHB4. Inherited mutations showed incomplete penetrance and variable expressivity, with mutation carriers often exhibiting cutaneous vascular abnormalities, suggesting a two-hit mechanism. The identified mutations collectively account for ∼30% of studied VOGM cases. These findings provide insight into disease biology and may have clinical implications for risk assessment. Huang H, Song S, Banerjee S, Jiang T, Zhang J, Kahle KT, Sun D, Zhang Z (2019). The WNK-SPAK/OSR1 kinases and the cation-chloride cotransporters as therapeutic targets for neurological diseases. Aging and Disease, 10 Full text. © 2018 American Chemical Society. Bromodomains have been pursued intensively over the past several years as emerging targets for the devel-opment of anti-cancer and anti-inflammatory agents. It has recently been shown that some kinase inhibitors are able to potently inhibit the bromodomains of BRD4. The clinical activities of PLK inhibitor BI-2536 and JAK2-FLT3 inhibitor TG101348 have been attributed to this unexpected poly-pharmacology, indicating that dual-kinase/bromodomain activity may be advantageous in a therapeutic context. However, for target validation and biological investigation, a more selec-tive target profile is desired. Here we report that benzo[e]pyrimido-[5,4-b]diazepine-6(11H)-ones, versatile ATP-site di-rected kinase pharmacophores utilized in the development of inhibitors of multiple kinases including a number of previ-ously reported kinase chemical probes, are also capable of exhibiting potent BRD4-dependent pharmacology. Using a dual kinase-bromodomain inhibitor of the kinase domains of ERK5 and LRRK2, and the bromodomain of BRD4 as a case study, we define the structure-activity relationships required to achieve dual kinase/BRD4 activity as well as how to di-rect selectivity towards inhibition of either ERK5 or BRD4. This effort resulted in identification of one of the first report-ed kinase-selective chemical probes for ERK5 (JWG-071), a BET selective inhibitor with 1 μM BRD4 IC50 (JWG-115), and additional inhibitors with rationally designed polypharmacology (JWG-047, JWG-069). Co-crystallography of seven representative inhibitors with the first bromodomain of BRD4 demonstrate that distinct atropisomeric conformers rec-ognize the kinase ATP-site and the BRD4 acetyl lysine binding site, conformational preferences supported by rigid dock-ing studies. Dumon C, Diabira D, Chudotvorova I, Bader F, Sahin S, Zhang J, Porcher C, Wayman G, Medina I, Gaiarsa J-L, et al (2018). The adipocyte hormone leptin sets the emergence of hippocampal inhibition in mice. eLife, 7, e36726-e36726. Full text. Zhang J, Burgess JG (2017). Enhanced eicosapentaenoic acid production by a new deep-sea marine bacterium Shewanella electrodiphila MAR441(T). PLOS ONE, 12(11). Author URL. Full text. Zhang J, Karimy JK, Delpire E, Kahle KT (2017). Pharmacological targeting of SPAK kinase in disorders of impaired epithelial transport. Expert Opinion on Therapeutic Targets, 21(8), 795-804. © 2017 Informa UK Limited, trading as Taylor. &. Francis Group. Introduction: the mammalian SPS1-related proline/alanine-rich serine-threonine kinase SPAK (STK39) modulates ion transport across and between epithelial cells in response to environmental stimuli such osmotic stress and inflammation. Research over the last decade has established a central role for SPAK in the regulation of ion and water transport in the distal nephron, colonic crypts, and pancreatic ducts, and has implicated deregulated SPAK signaling in NaCl-sensitive hypertension, ulcerative colitis and Crohn’s disease, and cystic fibrosis. Areas covered: We review recent advances in our understanding of the role of SPAK kinase in the regulation of epithelial transport. We highlight how SPAK signaling–including its upstream Cl–sensitive activators, the WNK kinases, and its downstream ion transport targets, the cation- Cl–cotransporters contribute to human disease. We discuss prospects for the pharmacotherapeutic targeting of SPAK kinase in specific human disorders that feature impaired epithelial homeostasis. Expert opinion: the development of novel drugs that antagonize the SPAK-WNK interaction, inhibit SPAK kinase activity, or disrupt SPAK kinase activation by interfering with its binding to MO25α/β could be useful adjuncts in essential hypertension, inflammatory colitis, and cystic fibrosis. Andrukhova O, Zhang J, Alessi D, Erben R (2016). Bone loss in KLHL3 knock-in mice characterized by a pseudohypoaldosteronism type II-like phenotype is mediated by renal PTH resistance. Bone Abstracts Full text. Kahle KT, Schmouth J-F, Lavastre V, Latremoliere A, Zhang J, Andrews N, Omura T, Laganière J, Rochefort D, Hince P, et al (2016). Inhibition of the kinase WNK1/HSN2 ameliorates neuropathic pain by restoring GABA inhibition. Science Signaling, 9(421), ra32-ra32. Full text. Zhang J, Deng X, Kahle KT (2016). Leveraging unique structural characteristics of WNK kinases to achieve therapeutic inhibition. Science Signaling, 9(450), pe3-pe3. Full text. Emami K, Nelson A, Hack E, Zhang J, Green DH, Caldwell GS, Mesbahi E (2016). MALDI-TOF Mass Spectrometry Discriminates Known Species and Marine Environmental Isolates of Pseudoalteromonas. Frontiers in Microbiology, 7 Full text. Kahle KT, Flores B, Bharucha-Goebel D, Zhang J, Donkervoort S, Hegde M, Begum G, Duran D, Liang B, Sun D, et al (2016). Peripheral motor neuropathy is associated with defective kinase regulation of the KCC3 cotransporter. Science Signaling, 9(439), ra77-ra77. Full text. Kazlauskaite A, Martinez-Torres RJ, Wilkie S, Kumar A, Peltier J, Gonzalez A, Johnson C, Zhang J, Hope AG, Peggie M, et al (2015). Binding to serine 65-phosphorylated ubiquitin primes Parkin for optimal PINK1-dependent phosphorylation and activation. EMBO reports, 16(8), 939-954. Full text. Schumacher F-R, Siew K, Zhang J, Johnson C, Wood N, Cleary SE, Al Maskari RS, Ferryman JT, Hardege I, Yasmin, et al (2015). Characterisation of the Cullin-3 mutation that causes a severe form of familial hypertension and hyperkalaemia. EMBO Molecular Medicine, 7(10), 1285-1306. Full text. Hatcher JM, Zhang J, Choi HG, Ito G, Alessi DR, Gray NS (2015). Discovery of a Pyrrolopyrimidine (JH-II-127), a Highly Potent, Selective, and Brain Penetrant LRRK2 Inhibitor. ACS Med Chem Lett, 6(5), 584-589. Discovery of a Pyrrolopyrimidine (JH-II-127), a Highly Potent, Selective, and Brain Penetrant LRRK2 Inhibitor. Activating mutations in leucine-rich repeat kinase 2 (LRRK2) are present in a subset of Parkinson's disease (PD) patients and may represent an attractive therapeutic target. Here we report a 2-anilino-4-methylamino-5-chloropyrrolopyrimidine, JH-II-127 (18), as a potent and selective inhibitor of both wild-type and G2019S mutant LRRK2. Compound 18 substantially inhibits Ser910 and Ser935 phosphorylation of both wild-type LRRK2 and G2019S mutant at a concentration of 0.1-0.3 μM in a variety of cell types and is capable of inhibiting Ser935 phosphorylation in mouse brain following oral delivery of doses as low as 30 mg/kg. Zhang J, Burgess JG (2015). Shewanella electrodiphila sp. nov. a psychrotolerant bacterium isolated from Mid-Atlantic Ridge deep-sea sediments. Int J Syst Evol Microbiol, 65(9), 2882-2889. Shewanella electrodiphila sp. nov. a psychrotolerant bacterium isolated from Mid-Atlantic Ridge deep-sea sediments. Strains MAR441(T) and MAR445 were isolated from Mid-Atlantic Ridge sediments from a depth of 2734 m, and were found to belong to the genus Shewanella. The strains were rod-shaped, pigmented, non-motile and capable of anaerobic growth either by fermentation of carbohydrates or by anaerobic respiration. The strains utilized a variety of electron acceptors, including nitrate and ferric compounds, and could utilize peptone when grown anaerobically in a two-chambered microbial fuel cell, which used carbon cloth electrodes and delivered a stable power output of ,150-200 mW m(-2). The major fatty acids were typical of the genus Shewanella, with major components C13 : 0, iso-C13 : 0, iso-C15 : 0, C16 : 0, C16 : 1ω7c, C18 : 1ω7c and C20 : 5ω3 fatty acids. The DNA G+C content of strains MAR441(T) and MAR445 was 42.4 mol%. 16S rRNA gene sequence analysis indicated that strains MAR441(T) and MAR445 were most closely related to Shewanella olleyana (sequence similarities 97.9% to the type strain). DNA-DNA hybridization demonstrated only 15.6-37.2% relatedness between strain MAR441(T) and the type strains of related species of the genus Shewanella. Phenotypic characteristics confirmed that these isolates constituted a novel species of the genus Shewanella, for which the name Shewanella electrodiphila sp. nov. is proposed; the type strain is MAR441(T) (5ATCC BAA-2408(T) = DSM 24955(T)). Friedel P, Kahle KT, Zhang J, Hertz N, Pisella LI, Buhler E, Schaller F, Duan J, Khanna AR, Bishop PN, et al (2015). WNK1-regulated inhibitory phosphorylation of the KCC2 cotransporter maintains the depolarizing action of GABA in immature neurons. Science Signaling, 8(383), ra65-ra65. Full text. Alessi DR, Zhang J, Khanna A, Hochdörfer T, Shang Y, Kahle KT (2014). The WNK-SPAK/OSR1 pathway: Master regulator of cation-chloride cotransporters. Science Signaling(334). The WNK-SPAK/OSR1 kinase complex is composed of the kinases WNK (with no lysine) and SPAK (SPS1-related proline/alanine-rich kinase) or the SPAK homolog OSR1 (oxidative stress-responsive kinase 1). The WNK family senses changes in intracellular Cl-concentration, extracellular osmolarity, and cell volume and transduces this information to sodium (Na+), potassium (K+), and chloride (Cl-) cotransporters [collectively referred to as CCCs (cation-chloride cotransporters)] and ion channels to maintain cellular and organismal homeostasis and affect cellular morphology and behavior. Several genes encoding proteins in this pathway aremutated in human disease, and the cotransporters are targets of commonly used drugs. WNKs stimulate the kinases SPAK and OSR1, which directly phosphorylate and stimulate Cl--importing, Na+-driven CCCs or inhibit the Cl--extruding, K+-driven CCCs. These coordinated and reciprocal actions on the CCCs are triggered by an interaction between RFXV/I motifs within the WNKs and CCCs and a conserved carboxyl-terminal docking domain in SPAK and OSR1. This interaction site represents a potentially druggable node that could bemore effective than targeting the cotransporters directly. In the kidney, WNK-SPAK/OSR1 inhibition decreases epithelial NaCl reabsorption and K+secretion to lower blood pressure while maintaining serum K+. In neurons, WNK-SPAK/OSR1 inhibition could facilitate Cl-extrusion and promote γ-aminobutyric acidergic (GABAergic) inhibition. Such drugs could have efficacy as K+-sparing blood pressure-lowering agents in essential hypertension, nonaddictive analgesics in neuropathic pain, and promoters of GABAergic inhibition in diseases associated with neuronal hyperactivity, such as epilepsy, spasticity, neuropathic pain, schizophrenia, and autism. Delbroek L, Van Kolen K, Steegmans L, da Cunha R, Mandemakers W, Daneels G, De Bock PJ, Zhang J, Gevaert K, De Strooper B, et al (2013). Development of an enzyme-linked immunosorbent assay for detection of cellular and in vivo LRRK2 S935 phosphorylation. Journal of Pharmaceutical and Biomedical Analysis, 76, 49-58. After the discovery of kinase activating mutations in leucine-rich repeat kinase 2 (LRRK2) as associated with autosomal dominant forms of Parkinson's disease, inhibition of the kinase is being extensively explored as a disease modifying strategy. As signaling properties and substrate(s) of LRRK2 are poorly documented, autophosphorylation has been an important readout for the enzyme's activity. Western blotting using anti-phospho-S910 or S935 LRRK2 antibodies showed effectiveness in demonstrating inhibitory effects of compounds. In this communication we describe two types of enzyme-linked immunosorbent assays (ELISA) to determine LRRK2 protein levels and kinase activity. Both assays take advantage of the sensitivity of the earlier described total and pS935 antibodies for detection (Nichols et al. Biochem. J. 2010) . The first assay is based on anti-GFP-based capturing of overexpressed LRRK2 and is highly suitable to show cellular effects of kinase inhibitors in a 96-well format. In the other platform anti-LRRK2-based capturing allows detection of endogenously expressed LRRK2 in rat tissue with no significant signal in tissue from LRRK2 knockout rats. Furthermore, both assays showed a significant reduction in pS935 levels on cellular and transgenic R1441C/G LRRK2. With the anti-LRRK2 ELISA we were able to detect LRRK2 phosphorylation in human peripheral blood mononuclear cells (PBMC). To conclude, we report two sensitive assays to monitor LRRK2 expression and kinase activity in samples coming from cellular and in vivo experimental settings. Both can show their value in drug screening and biomarker development but will also be useful in the elucidation of LRRK2-mediated signaling pathways. © 2012 Elsevier B.V.
Yao C, Johnson WM, Gao Y, Wang W, Zhang J, Deak M, Alessi. DR, Zhu X, Mieyal JJ, Roder H, et al (2013). Kinase inhibitors arrest neurodegeneration in cell and C. elegans models of LRRK2 toxicity. Human Molecular Genetics, 22(2), 328-344. Mutations in leucine-rich repeat kinase 2 (LRRK2) are the most frequent known cause of late-onset Parkinson's disease (PD). To explore the therapeutic potential of small molecules targeting the LRRK2 kinase domain, we characterized two LRRK2 kinase inhibitors, TTT-3002 and LRRK2-IN1, for their effects against LRRK2 activity in vitro and in Caenorhabditis elegans models of LRRK2-linked neurodegeneration. TTT-3002 and LRRK2-IN1 potently inhibited in vitro kinase activity of LRRK2 wild-type and mutant proteins, attenuated phosphorylation of cellular LRRK2 and rescued neurotoxicity of mutant LRRK2 in transfected cells. To establish whether LRRK2 kinase inhibitors can mitigate pathogenesis caused by different mutations including G2019S and R1441C located within and outside of the LRRK2 kinase domain, respectively, we evaluated effects of TTT-3002 and LRRK2-IN1 against R1441C- and G2019S-induced neurodegeneration in C. elegans models. TTT-3002 and LRRK2-IN1 rescued the behavioral deficit characteristic of dopaminergic impairment in transgenic C. elegans expressing human R1441C- and G2019S-LRRK2. The inhibitors displayed nanomolar to low micromolar rescue potency when administered either pre-symptomatically or post-symptomatically, indicating both prevention and reversal of the dopaminergic deficit. The same treatments also led to long-lasting prevention and rescue of neurodegeneration. In contrast, TTT-3002 and LRRK2-IN1 were ineffective against the neurodegenerative phenotype in transgenic worms carrying the inhibitor-resistant A2016T mutation ofLRRK2, suggesting that they elicit neuroprotective effects in vivo by targeting LRRK2 specifically. Our findings indicate that the LRRK2 kinase activity is critical for neurodegeneration caused by R1441C and G2019S mutations, suggesting that kinase inhibition of LRRK2 may represent a promising therapeutic strategy for PD. © the Author 2012. Published by Oxford University Press. All rights reserved. Deng X, Elkins JM, Zhang J, Yang Q, Erazo T, Gomez N, Choi HG, Wang J, Dzamko N, Lee JD, et al (2013). Structural determinants for ERK5 (MAPK7) and leucine rich repeat kinase 2 activities of benzo[e]pyrimido-[5,4-b]diazepine-6(11H)-ones. European Journal of Medicinal Chemistry, 70, 758-767. The benzo[e]pyrimido-[5,4-b]diazepine-6(11H)-one core was discovered as a novel ERK5 (also known as MAPK7 and BMK1) inhibitor scaffold, previously. Further structure-activity relationship studies of this scaffold led to the discovery of ERK5-IN-1 (26) as the most selective and potent ERK5 inhibitor reported to date. 26 potently inhibits ERK5 biochemically with an IC 50 of 0.162 ± 0.006 μM and in cells with a cellular EC 50 for inhibiting epidermal growth factor induced ERK5 autophosphorylation of 0.09 ± 0.03 μM. Furthermore, 26 displays excellent selectivity over other kinases with a KINOMEscan selectivity score (S10) of 0.007, and exhibits exceptional bioavailability (F%) of 90% in mice. 26 will serve as a valuable tool compound to investigate the ERK5 signaling pathway and as a starting point for developing an ERK5 directed therapeutic agent. © 2013 Elsevier Masson SAS. All rights reserved. Choi HS, Zhang J, Deng X, Hatcher JM, Patricelli MP, Zhao Z, Alessi DR, Gray NS (2012). Brain penetrant LRRK2 inhibitor. ACS Medicinal Chemistry Letters, 3(8), 658-662. Activating mutations in leucine-rich repeat kinase 2 (LRRK2) are present in a subset of Parkinson's disease (PD) patients and may represent an attractive therapeutic target. Here, we report that a 2-anilino-4-methylamino-5- chloropyrimidine, HG-10-102-01 (4), is a potent and selective inhibitor of wild-type LRRK2 and the G2019S mutant. Compound 4 substantially inhibits Ser910 and Ser935 phosphorylation of both wild-type LRRK2 and G2019S mutant at a concentration of 0.1-0.3 μM in cells and is the first compound reported to be capable of inhibiting Ser910 and Ser935 phosphorylation in mouse brain following intraperitoneal delivery of doses as low as 50 mg/kg. © 2012 American Chemical Society. Zhang J, Deng X, Choi HG, Alessi DR, Gray NS (2012). Characterization of TAE684 as a potent LRRK2 kinase inhibitor. Bioorganic and Medicinal Chemistry Letters, 22(5), 1864-1869. Leucine-rich repeat kinase 2 (LRRK2) is linked to Parkinson's disease and may represent an attractive therapeutic target. Here we report a 2,4-dianilino-5-chloro-pyrimidine, TAE684, a previously reported inhibitor of anaplastic lymphoma kinase (ALK), is also a potent inhibitor of LRRK2 kinase activity (IC50of 7.8 nM against wild-type LRRK2, 6.1 nM against the G2019S mutant). TAE684 substantially inhibits Ser910 and Ser935 phosphorylation of both wild-type LRRK2 and G2019S mutant at a concentration of 0.1-0.3 μM in cells and in mouse spleen and kidney, but not in brain, following oral doses of 10 mg/kg. © 2012 Elsevier Ltd. All rights reserved. Zhang. J, Zhang E, Scott K, Burgess JG (2012). Enhanced electricity production by use of reconstituted artificial consortia of estuarine bacteria grown as biofilms. Environmental Science and Technology, 46(5), 2984-2992. Microbial fuel cells (MFCs) can convert organic compounds directly into electricity by catalytic oxidation, and although MFCs have attracted considerable interest, there is little information on the electricity-generating potential of artificial bacterial biofilms. We have used acetate-fed MFCs inoculated with sediment, with two-chamber bottles and carbon cloth electrodes to deliver a maximum power output of ∼175 mW•m -2 and a stable power output of ∼105 mW•m -2. Power production was by direct transfer of electrons to the anode from bacterial consortia growing on the anode, as confirmed by cyclic voltammetry (CV) and scanning electron microscopy (SEM). Twenty different species (74 strains) of bacteria were isolated from the consortium under anaerobic conditions and cultured in the laboratory, of which 34% were found to be exoelectrogens in single-species studies. Exoelectrogenesis by members of the genera Vibrio, Enterobacter, and Citrobacter and by Bacillus stratosphericus was confirmed, by use of culture-based methods, for the first time. An MFC with a natural bacterial consortium showed higher power densities than those obtained with single strains. In addition, the maximum power output could be further increased to ∼200 mW•m -2 when an artificial consortium consisting of the best 25 exoelectrogenic isolates was used, demonstrating the potential for increased performance and underlying the importance of artificial biofilms for increasing power output. © 2012 American Chemical Society. Reith AD, Bamborough P, Jandu K, Andreotti D, Mensah L, Dossang P, Choi HG, Deng X, Zhang J, Alessi DR, et al (2012). GSK2578215A; a potent and highly selective 2-arylmethyloxy-5-substitutent- N-arylbenzamide LRRK2 kinase inhibitor. Bioorganic and Medicinal Chemistry Letters, 22(17), 5625-5629. Leucine-rich repeat kinase 2 (LRRK2) is a promising therapeutic target for some forms of Parkinson's disease. Here we report the discovery and characterization of 2-arylmethyloxy-5-subtitutent-N-arylbenzamides with potent LRRK2 activities exemplified by GSK2578215A which exhibits biochemical IC 50s of around 10 nM against both wild-type LRRK2 and the G2019S mutant. GSK2578215A exhibits exceptionally high selectivity for LRRK2 across the kinome, substantially inhibits Ser910 and Ser935 phosphorylation of both wild-type LRRK2 and G2019S mutant at a concentration of 0.3-1.0 μM in cells and in mouse spleen and kidney, but not in brain, following intraperitoneal injection of 100 mg/kg. © 2012 Elsevier Ltd. All rights reserved. Zhang J, Zeng R (2011). Molecular cloning and expression of an extracellular α-amylase gene from an Antarctic deep sea psychrotolerant Pseudomonas stutzeri strain 7193. World Journal of Microbiology and Biotechnology, 27(4), 841-850. Psychrotolerant Pseudomonas stutzeri strain 7193 capable of producing an extracellular α-amylase was isolated from deep sea sediments of Prydz Bay, Antarctic. The 59678-Da protein (AmyP) was encoded by 1665-bp gene (amyP). The deduced amino acid sequence was identified with four regions, which are conserved in amylolytic enzymes and form a catalytic domain, and was predicted to be maltotetraose forming extracellular amylase by using the I-TASSER online server. Purification of AmyP amylases from both the recombinant of Escherichia coli Top 10 F′ and strain 7193 was conducted. Biochemical characterization revealed that the optimal amylase activity was observed at pH 9.0 and temperature 40°C. The enzymes were unstable at temperatures above 30°C, and only retain half of their highest activity after incubation at 60°C for 5 min. Thin-layer chromatography analysis of the products of the amylolytic reaction showed the presence of maltotetraose, maltotriose, maltose and glucose in the starch hydrolysate. © 2010 Springer Science+Business Media B.V.
Zhang J, Zeng R (2008). Molecular cloning and expression of a cold-adapted lipase gene from an antarctic deep sea psychrotrophic bacterium Pseudomonas sp. 7323. Marine Biotechnology, 10(5), 612-621. A psychrotrophic bacterium producing a cold-adapted lipase was isolated from the deep-sea sediment of Prydz Bay, Antarctic and identified as a Pseudomonas strain. Determination of the nucleotide sequence of the gene encoding a lipase from Pseudomonas sp. 7323 (lipA) revealed that LipA is composed of 617 amino acid residues with a calculated molecular weight of 64,466 Da. LipA has a GXSXG motif, which is conserved in lipases/esterases and generally contains the active-site serine. The lipase purified from the Escherichia coli transformant (rLipA) by metal-chelating chromatography exhibited the same electrophoretic mobility as did the wild-type lipase (wLipA) purified from strain 7323, and both enzymes were quite similar in physicochemical properties. The optimal temperature and pH value for the lipases activity were 30°C and 9.0, respectively. They were unstable at temperatures above 25°C and only retained half of their highest activity after incubation at 60°C for 5 min. These results indicated that the enzymes were typical alkaline cold-adapted enzymes. Both enzymes were particularly activated by Ca2+. Additionally, the enzymes hydrolyzed p-nitrophenyl caprate and tributyrin at the highest velocity among the other p-nitrophenyl esters and triglycerides. © 2008 Springer Science+Business Media, LLC. Zhang J, Zeng R (2008). Purification and characterization of a cold-adapted α-amylase produced by Nocardiopsis sp. 7326 isolated from Prydz Bay, Antarctic. Marine Biotechnology, 10(1), 75-82. An actinomycete strain 7326 producing cold-adapted α-amylase was isolated from the deep sea sediment of Prydz Bay, Antarctic. It was identified as Nocardiopsis based on morphology, 16S rRNA gene sequence analysis, and physiological and biochemical characteristics. Sodium dodecyl sulfate-polyacrylamide gel electrophoresis and zymogram activity staining of purified amylase showed a single band equal to a molecular mass of about 55 kDa. The optimal activity temperature of Nocardiopsis sp. 7326 amylase was 35°C, and the activity decreased dramatically at temperatures above 45°C. The enzyme was stable between pH 5 and 10, and exhibited a maximal activity at pH 8.0. Ca2+, Mn2+, Mg2+, Cu2+, and Co2+stimulated the activity of the enzyme significantly, and Rb2+, Hg2+, and EDTA inhibited the activity. The hydrolysates of soluble starch by the enzyme were mainly glucose, maltose, and maltotriose. This is the first report on the isolation and characterization of cold-adapted amylase from Nocardiopsis sp. © 2007 Springer Science+Business Media, LLC. Zhang J, Lin S, Zeng R (2007). Cloning, expression, and characterization of a cold-adapted lipase gene from an antarctic deep-sea psychorotrophic bacterium, Psychobacter sp. 7195. Journal of Microbiology and Biotechnology, 17(4), 604-610. A psychrotrophic strain 7195 showing extracellular lipolytic activity towards tributyrin was isolated from deep-sea sediment of Prydz Bay and identified as a Psychrobacter species. By screening a genomic DNA library of Psychrobacter sp. 7195, an open reading frame of 954 by coding for a lipase gene, lipA1, was identified, cloned, and sequenced. The deduced LipA1 consisted of 317 amino acids with a molecular mass of 35,210 kDa. It had one consensus motif, G-N-S-M-G (GXSXG), containing the putative active-site serine, which was conserved in other cold-adapted lipolytic enzymes. The recombinant LipA1 was purified by column chromatography with DEAE Sepharose CL-4B, and Sephadex G-75, and preparative polyacrylamide gel electrophoresis, in sequence. The purified enzyme showed highest activity at 30°C, and was unstable at temperatures higher than 30°C, indicating that it was a typical cold-adapted enzyme. The optimal pH for activity was 9.0, and the enzyme was stable between pH 7.0-10.0 after 24 h incubation at 4°C. The addition of Ca2+and Mg2+enhanced the enzyme activity of LipA1, whereas the Cd2+, Zn2+, Co2+, Fe3+, Hg2+, Fe2+, Rb2+, and EDTA strongly inhibited the activity. The LipA1 was activated by various detergents, such as Triton X-100, Tween 80, Tween 40, Span 60, Span 40, CHAPS, and SDS, and showed better resistance towards them. Substrate specificity analysis showed that there was a preference for trimyristin and p-nitrophenyl myristate (C14acyl groups). © the Korean Society for Microbiology and Biotechnology. Zhang J, Zeng R (2007). Isolation of antarctic psychrotrophilic Pseudomonas sp. 7197 and cloning of ppa gene for inorganic pyrophosphatase (PPase). Gaojishu Tongxin/Chinese High Technology Letters, 17(10), 1067-1071. A psychrotrophile strain 7197, which produces inorganic pyrophosphatase (PPase), was isolated from the deep sea sediment of Prydz Bay, Antarctic. The morphology identification and 16S rDNA sequence analysis showed that the strain belongs to genus Pseudomonas. The ppa gene for inorganic pyrophosphatase (PPase) was cloned by PCR according to the primers. Nucleotide sequence analysis revealed an open reading frame (ORF) of 531 bp encoding the PPase. The amino acid sequence deduced from the nucleotide sequence of the ppa corresponded to a protein of 176 amino acid residues with a molecular weight of 19531 kDa. The PPase showed the highest amino acid sequence identity to the PPase of Psy-chrobacter sp. 273-4 with 97%, and had 79% and 75% of identity to the PPase of Neisseria meningitidis Z2491 and Mannheimia succiniciproducens MBEL55E respectively. Zhang J, Zeng R (2007). Psychrotrophic amylolytic bacteria from deep sea sediment of Prydz Bay, Antarctic: Diversity and characterization of amylases. World Journal of Microbiology and Biotechnology, 23(11), 1551-1557. Seventeen psychrotrophic bacteria with cold-adaptive amylolytic, lipolytic or proteolytic activity were isolated from deep sea sediment of Prydz Bay, Antarctic. They were affiliated with γ-Proteobacteria (12 strains) and gram-positive bacteria (5 strains) as determined by 16S rDNA sequencing. The amylase-producing strains belonged to genus Pseudomonas, Rhodococcus, and Nocardiopsis. Two Pseudomonas strains, 7193 and 7197, which showed highest amylolytic activity were chosen for further study. The optimal temperatures for their growth and amylase-producing were between 15 and 20°C. Both of the purified amylases showed highest activity at 40°C and pH 9.0, and retained 50% activity at 5°C. The SDS-PAGE and zymogram activity staining showed that the molecular mass of strain 7193 and 7197 amylases were about 60 and 50 kDa respectively. The Pseudomonas sp. 7193 amylase hydrolyzed soluble starch into glucose, maltose, maltotriose, and maltotetraose, indicating that it had both activities of α-amylase and glucoamylase. The product hydrolyzed by Pseudomonas sp. 7197 amylase was meltotetraose. © 2007 Springer Science+Business Media B.V.
Zhang J, Zeng R (2006). Cloning, expression and characterization of the cold active lipase (Lip3) from metagenomic DNA of an antarctic deep sea sediment. Progress in Biochemistry and Biophysics, 33(12), 1207-1214. The metagenomic DNA was extracted from the deep sea sediment with the depth of 900m of Prydz Bay, Antarctic. A lipase gene (lip3) with the size of 948bp was cloned from the metagenomic DNA by PCR with the primers designed. The deduced Lip3 protein was composed of 315 amino acids (AA) with a molecular mass of 34.577 ku. The motifs GFGNS(GXGXS)and G-N-S-M-G(GXSXG)in the AA sequences of Lip3 were found to be conserved in other lipase. They were most conserved sequence among the serine hydrolase and were necessary for the activity. A 35 ku of Lip3 was purified by Ni-NTA chelating sepharose column from the extract of recombinant E.coli Top 10F′ cell harboring a pLLP-OmpA plasmid inserted with lip3. The purified Lip3 was most active at 25°C and kept 22% of activity at 0°C. Only 10% of activity was retained after it was incubated at 35°C for 60 min. The optimal pH value for the Lip3 activity was 8.0. The Kmvalue of the enzyme towards p-nitrophenyl palmitate increased with the increasing of assayed temperature. These results indicated that Lip3 was a typical alkaline cold active enzyme. Zhang J, Lian M, Zeng R (2006). Screening, fermentation condition and enzyme characterization of multicomponent enzymes producing Pseudomonas sp. NJ197. Chinese Journal of Applied and Environmental Biology, 12(5), 683-687. A strain NJ197, producing cold-adapted complex enzyme, was isolated from deep sea sediment of the Prydz Bay, Antarctic. The morphological identification and 16S rDNA sequence analysis showed that it belonged to genus Pseudomonas. The optimal growth temperature of the Pseudomonas sp. NJ197 was 5-15°C, indicating that it was a psychro-tolerant bacterium. The strain could use various single carbonaceous and nitrogenous substances to produce complex enzyme. Its optimal and highest temperatures for enzyme production were 20°C and 30°C, respectively. The enzyme purification was performed by ammonium sulfate fractionation and anion exchange chromatography with DEAE cellulose-52. The activities of lipase and amylase were the strongest among the complex enzymes produced by Pseudomonas sp. NJ197, and the both were sensitive to high temperature. The optimal temperature and pH value for the lipase activity were 30°C and 9.0, while those for the amylase activity were 35°C and 9.5, respectively. The results indicated that they were typical alkaline cold-adapted enzymes, whose activities were stimulated by Ca2+, Mn2+, Cu2+, Co2+and Fe3+, and inhibited by Zn2+, Hg2+, Rb2+, Cd2+and EDTA. The cold-adapted lipase showed better resistance to inactivation of 1% detergents, such as SDS and CHAPS. Bhuiyan MIH, Huang H, Zhang T, Molyneaux BJ, Poloyac SM, Zhang J, Deng X, Sun D (2018). WNK-SPAK-NKCC1 Cascade Activation Contributes to Worsened Brain Damage in Mice with Hypertension Comorbidity after Ischemic Stroke. Joint Hypertension 2018 Scientific Sessions. 6th - 9th Sep 2018. Karimy J, Zhang J, Medzhitov R, Simard M, Kahle K (2017). Inflammation-dependent cerebrospinal fluid hypersecretion from the choroid plexus in post-hemorrhagic hydrocephalus. 42nd FEBS congress. 10th - 14th Sep 2017. Kahle K, Schmouth J-F, Lavastre V, Latremoliere A, Zhang J, Andrews N, Dion PA, Duan J, Woolf CJ, Inquimbert P, et al (2016). Antagonism of Wnk/Hsn2 kinase ameliorates neuropathic pain by reducing maladaptive KCC2 inhibitory phosphorylation after nerve injury. 84th AANS Annual Scientific Meeting. 30th Apr - 4th May 2016. Siew K, Zhang J, Schumacher F, Alessi DR, Kurtz T, O'Shaughnessy KM (2015). Pulse waveform analysis reveals vascular contributions to Gordon Syndrome and Gitelman Syndrome blood pressure homeostasis. Proceedings Abstracts of the Physiological Society. 1st - 1st Jul 2015. Keith S, Jinwei Z, Dario R. A, Kevin M. O (2014). Disruption of STE20/SPS1-related Proline/Alanine-rich Kinase (SPAK) binding lowers blood pressure and recapitulates Gitelman syndrome in mice. American Society of Nephrology Kidney Week 2014 Annual Meeting. Kahle KT, Gen G, Zhang J, Latremoliere A, Andrews N, Shang Y, Alessi D, Woolf C, Elledge S (2014). Promoting Endogenous GABAergic Analgesia via Kinase Modulation of Neuronal Ion Plasticity. 2014 CNS ANNUAL MEETING. 1st - 1st Aug 2014. Heros PDL, Zhang J, Gourlay R, Campbell D, Deak M, Macartney T, Kahle K, Alessi D (2014). SPAK/OSR1 kinases directly phosphorylate the K+-Cl- co-transporters. Federation of American Societies for Experimental Biology. 1st - 1st Apr 2014. Pinkas DM, Bufton JC, Bartual SG, Chen Z, Daubner GM, Schumacher F-R, Georghiou G, Zhang J, Sorrell FJ, Kurz T, et al (2018). Human with No Lysine Kinase 3 (WNK3). A Target Enabling Package, Version 4, 1-15. Full text.